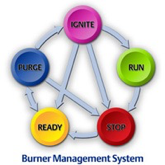 A Burner Management System (BMS) is a set of control devices to safely startup, operate, and shut down a fired vessel. The Burner Management System is designed to monitor and control various equipment while heating a vessel to a desired temperature set point. 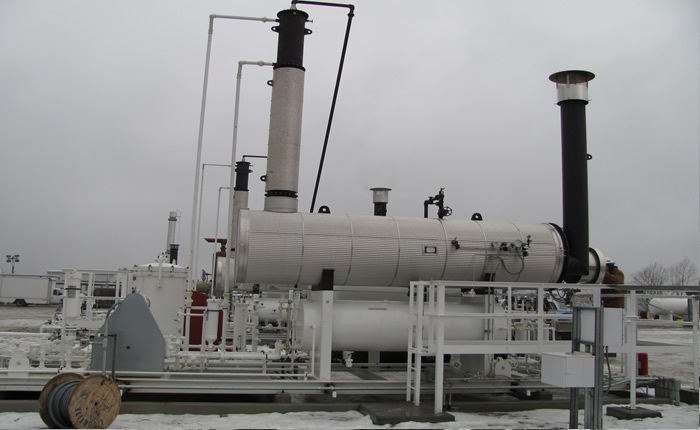 One heavily regulated industry that utilizes burner management systems is the oil and gas industry. The BMS is designed for users to easily set parameters for ignition sequence. The number of ignition retries, delay to sense flame, time for ignition delay to open the fuel valve, and flame sense intensity are all configurable from the easy to use menu on the controller screens. The 12 volt ignition system has been designed to save energy by not constantly sparking or running off a timer. The system is only allowed to ignite when there should be a flame on the pilot and there is not currently one. Once a flame is detected on the pilot, there is no longer a need to keep trying to ignite. The entire system has been designed to run off 12 volts of solar power. This can be very crucial in remote locations where line power is not available. The system has been designed to utilize as little power as needed, along with energy efficient devices. We do offer options of running off line power with the solar as a backup in case of line power failure. 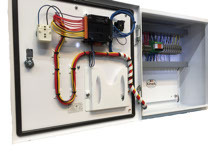 With on board inputs and outputs, the BMS can be easily configured for a variety of control sequences and shutdowns. Examples of alarm conditions would be high stack or reboiler temperature, reboiler and flash tank levels, and remote input shutdowns (based on external conditions; example-compressor shutdown). 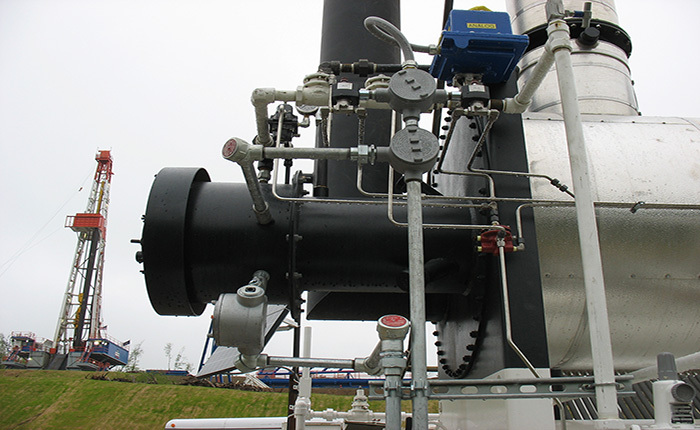 Control examples would be automated valve or drive control to maintain temperature. With several programmers on site, programming changes and updates become much simpler. The ability to change coding to incorporate new devices or adjust the interaction of devices is very painless. After a program has been written and tested, it can be emailed and installed by a field technician in a matter of minutes. Our control panels are designed to be upgradable with programming changes not be replaced due to being outdated. Unlike our competitors, Data logging is not an additional charge adder but included on every model. The BMS has multiple ways of logging data. One is the ability of an on board storage chip that can easily be removed. Data can be collected to the chip and generated into user defined reports. With I to 4 Gigabytes of storage memory for logging various data points, air quality standards (like DEQ Title 5 which require 15 minute updates) are easily handled. With the extracted data BMS can provide customized reports to meet customers needs. Another method of logging is through the retrieval of data via communications ports. The BMS has built in Modbus communications, so data may also be retrieved and logged to existing SCADA Systems via radio, phone line or modem. We offer multiple packages depending on customer needs and applications. We have options from an inexpensive way to safely light a pilot, monitor flame presence and acquire data to controlling temperature to a very specific temperature set point. All control stations are rated for Class I Division II locations. All control stations have the ability to easily set and adjust important parameters in the controller. Alarm and shut down points, modbus addresses and baud rates, fire tube purge timer, retry attempts and limits are a few of the user configurable set points. Most competition is no longer using the best technology available. With the speed technology advances if you are not at the forefront of designing new methods and control, your products are destined to become obsolete. The Kimark BMS features next generation, proven devices that put us at the leading edge of technology. Ditching printed circuit boards and designing a system around a programmable control station, make upgrades and customizability simple and inexpensive. Creating a flame detector that visually searches for a flame presence allowed us to create a more bullet proof system. Instead of being in the fire, the flame detector can look for a flame from a safe distance without being a wear and tear part. Many different safety measures are built upon the flame detector. Closing valves due to a flame outage, purging the fire tube purging and auto relighting the pilot flame were developed due to knowing the status of the burner’s flame. Low power consumption devices and energy efficient methods of operation lead to not wasting on over-sized equipment. On-board data logging and built in SCADA availability on every unit means you will never have to pay extra for an expansion card or add on module to access these features. Protecting your workers, the facility, and the environment is one of the top issues addressed by our BMS. Through our control system process, workers will not be in harm’s way manually lighting the pilot. 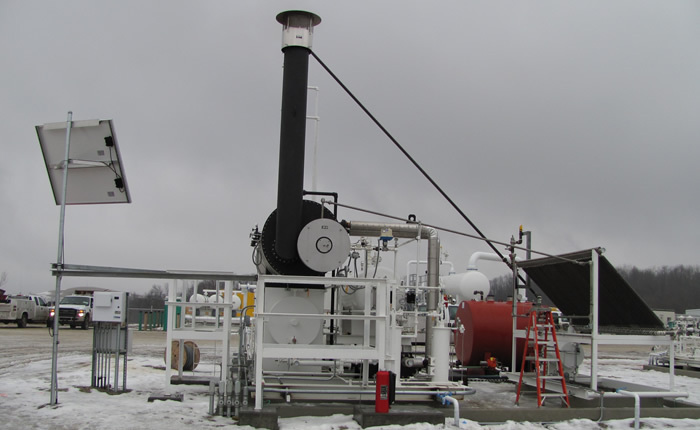 Raw gas will never be left spewing into an unlit fire tube and eventually vented to atmosphere. When the system is off or in a failed state, all control valves immediately close until the pilot has been reestablished. This will greatly reduce the chance for a spontaneous combustion outside the unit that can injure a worker or the environment. A product we designed and developed. 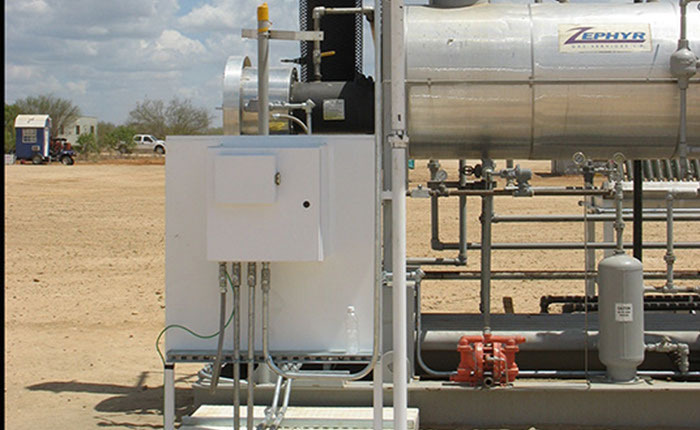 Our UV flame detector is one of a kind. It is out and away from the fire, reducing the chance it will be damaged by the intense fire. The ability to sense the presence of a flame without working parts “in the fire” makes this device’s life span much longer. This eliminates the false flame signals and outages caused by flame rectification rods wearing out or becoming dirty. This device instantly knows when a flame is present on the pilot as well as any outage that occurs. We are not analyzing temperature drops from a thermocouple to come to the conclusion the pilot flame has disappeared. The entire system has been designed to run on a 12 volt solar system. This can be very crucial in remote locations where line power is not available. The system has been designed to operate with very low power consumption by using energy efficient devices. We also offer options of running offline power with solar as a backup in case of line power failure. The 12 volt ignition system has been designed to save energy through not constantly sparking or running off a timer. The system is only allowed to ignite when there should be a flame on the pilot and there is not currently one. Once a flame is detected on the pilot, there is no longer a need to keep trying to ignite. With several programmers on site, programming changes and updates become much simpler. The ability to change coding to incorporate new devices or adjust the interaction of devices is very painless. After a program has been written and tested, it can be emailed and installed by a field technician in a matter of minutes. Our control panels are designed to be easily upgraded with a simple programming change, not replaced due to being outdated. Along with product service, we are also available to install the product and offer training to operate the BMS. 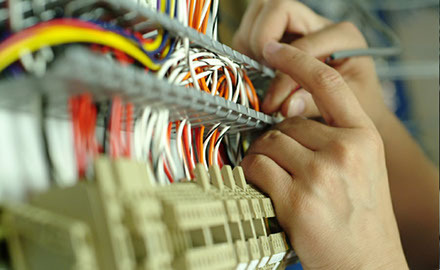 Whether it is a simple K100 installation requiring seal tight over short distances or a custom K400 package with buried, rigid conduit controlling many devices, we have crews trained and ready. Techs are available to assist with any issues through the life of the equipment either by phone, or coming to your location to diagnose, repair or train your employees.